Having a knot can cause a considerable amount of discomfort and at times can be very painful. So, what are knots, how do we know when we have got a knot and why are they so common? First of all, muscle fibres run in all different directions in our body and our muscles are layered on top of each other – this is so that we can bend, twist and exercise in a variety of ways. Our muscles are meant to be flexible, strong, and challenged, but, sitting in the same position for long periods of time, lifting something incorrectly, even not being well enough hydrated, we can lose our mobility and flexibility. The various muscle fibres can start to stick together, forming a hard lump under our skin known as a knot. Although knots are incredibly common, don’t let that fool you into thinking they are harmless. If left untreated, the muscle tissue can continue to lose elasticity and cause postural problems, which can be very hard work to reverse. 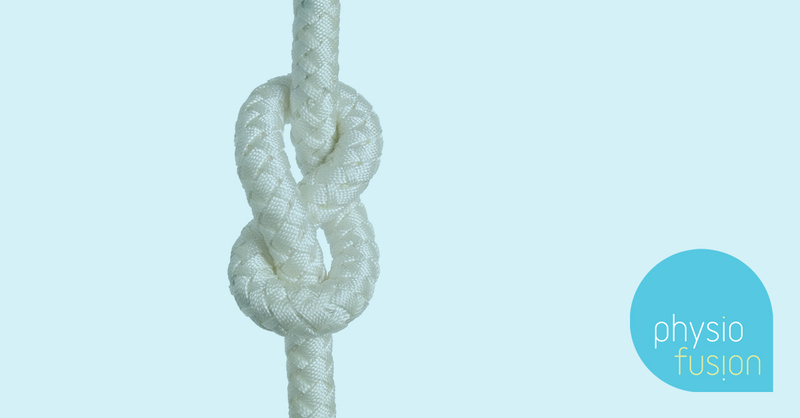 What can we do to help prevent knots? Hydration – drinking plenty of water is hugely beneficial. When muscles cells don’t have adequate fluids, they don’t work as well and the performance of that muscle suffers. If you are careful about what goes into your body, you are less likely to suffer from a knot due to underperforming muscles. Take breaks – we tend to spend a lot of our day either sitting in front of a computer or staring down at our phones. This is not a natural position for our bodies to be in and can put huge amounts of stress on our back, neck and shoulders. Set reminders on your phone or computer to prompt you to take a break every hour or so. Even when sitting at your desk, straighten out your back, turn your neck from side to side, uncross your legs, and move as much as you can. Exercise – regular exercise is important, however, if you are having recurring issues with knots, it is also important to get yourself assessed by a Physiotherapist. They will be able to work out why they keep coming back and can help to ensure you’re not repeating the same mistakes. Your Physio will also be able to advise you on the most appropriate exercises for your specific issue. Massage– it is important that we don’t generalise massage. There are many different types of massage for a variety of reasons, not every massage is the type of luxury we go for on holidays and spa days. Massage therapy can help keep your muscles healthy, pliable, and oxygenated. Your Physio is able to assess you and help you select the most appropriate type of massage for your specific condition. Lifestyle – a life filled with stress and lack of sleep is the perfect pathway to injury. Even as little as 15 minutes a day of focused relaxation or meditation time can make a huge difference to the condition of your body. What do we do if we already have muscle knots? Rest– when we’re in pain, it is our body’s way of saying it needs a break. Especially if we know the cause of our pain. The key is balance – our bodies need a mix of exercise and rest. Massage– massage therapy is not only a great preventative tool, but a good clinical massage therapist should help to relieve muscle pain and recommend self-care techniques that are specific to your particular issue. Physiotherapy – if you have been in pain for a while, Physiotherapyis the next best targeted step. Not only will the treatment consist of soft tissue therapy, such as, massage and stretching, but your Physio will also help identify the underlying causes (looking at your posture, movements, biomechanics and habits). Stretching– gentle movements by going through your full range of motion can be very helpful. Always ask for your Physiotherapists advice on the correct stretches and techniques. We often over-stretch through lack of knowledge, and just because a muscle is hurting, doesn’t mean it needs to be stretched – sometimes the opposite is true! However, gentle, full-body movement is usually a good idea as long as it is pain-free. There are a large variety of knots, all needing their own specific treatment technique, therefore, we advise that you speak to a specialist to analyse them and find the most appropriate treatment. It is important to remember that, like most knots in general, leaving them unattended does not reverse the problem. The sooner we take action, the easier and faster it is to resolve. 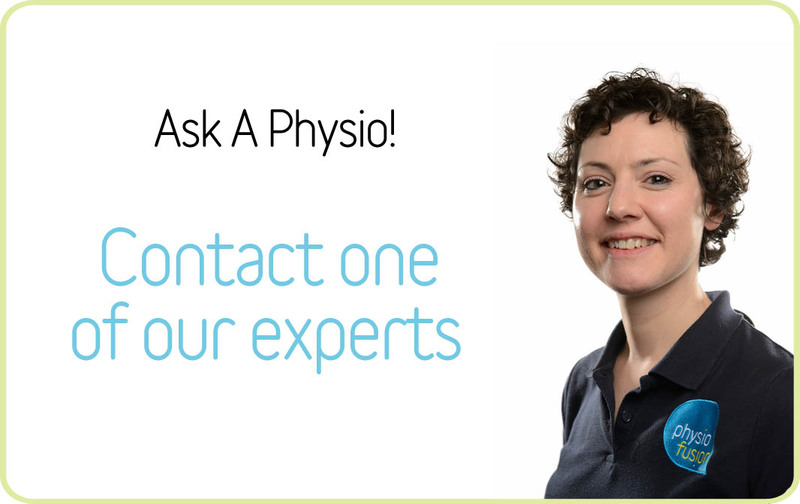 If you would like professional advice for free before you decide on your treatment, use our online service Ask-A-Physio on our website. Alternatively, you may call us on 01282 453 110.